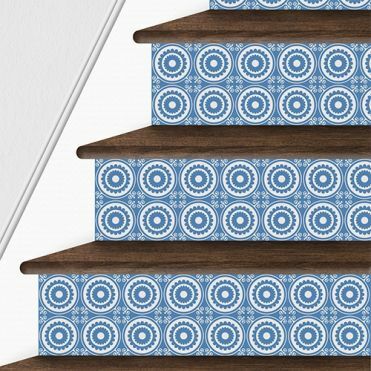 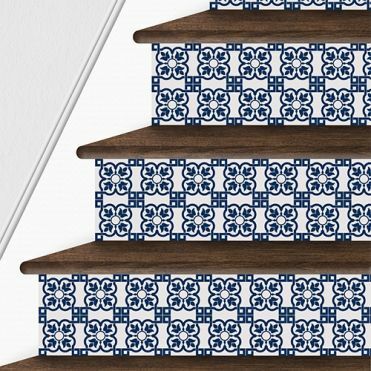 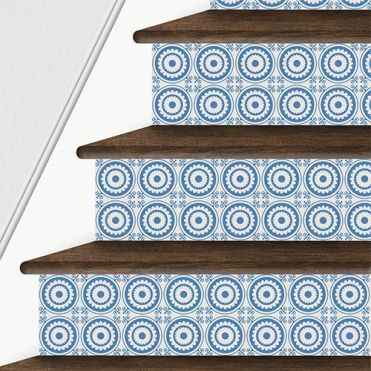 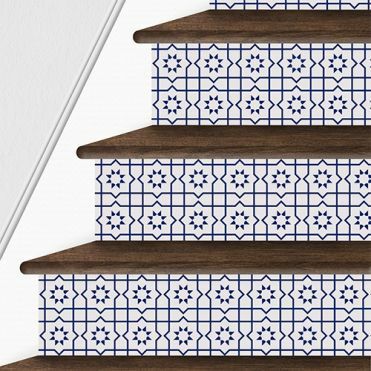 Victorian inspired tile sticker designs for stair risers. 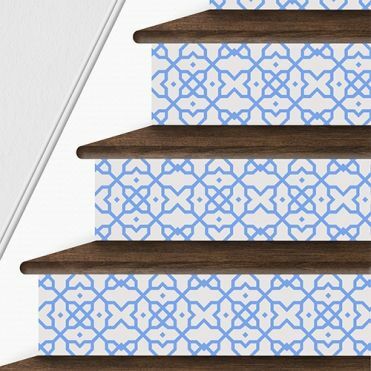 The stickers are made to measure and feature a protective coating to prevent scuff marks. They're available in a wide range of colours and can be ordered in one colour, or in a colour combination of your choice. You can also mix and match the designs. Off white pattern with a coloured background of your choice. Coloured pattern of your choice on an off white background.